This time lapse video shows a crew easily putting in a Tiger Dams™ system in Sugarland, Texas ahead of Tropical Storm Bill to protect a community from eminent flooding. Real time for this video is between three and four hours. Another great example of Tiger Dam™ doing their job during hurricane Florence in North Carolina. In their ongoing training with local authorities to prevent flooding from natural disasters and hurricanes, US Flood Control provides yearly training for 911 Memorial Museum. The implementation and use of the Tiger Dam™ systems can greatly reduce damage to property and memorial sites from high rising water. US Flood Control & Tiger Dam™ played a big part in saving a Walmart Neighborhood Market in Lumberton, NC. Memories of Super Storm Sandy returned as Tamara Andreatta, RIOC’s Director of Asset Management, drove a group of us around Roosevelt Island while Frank Farance narrated, pointing out the storm’s high water marks, some still visible on building foundations. Tiger Dams may help us withstand worse future storms as failures elsewhere make them inevitable. US Flood Control has always been committed to not only providing Tiger Dams™, the world’s #1 flood protection products around the world but to making sure that the deployment of those products is backed up with extensive training when ever it is requested. See our training session with the HEB Emergency Preparedness Facility Management Team. How Does Flood Water Get Into Homes? There are many ways flood waters can enter a home. One of the most common entry points are doors. Being prepared for flooding events can help mitigate the damage done by flooding. Flooding is just behind tornadoes in terms of property damage by natural disaster in the US. 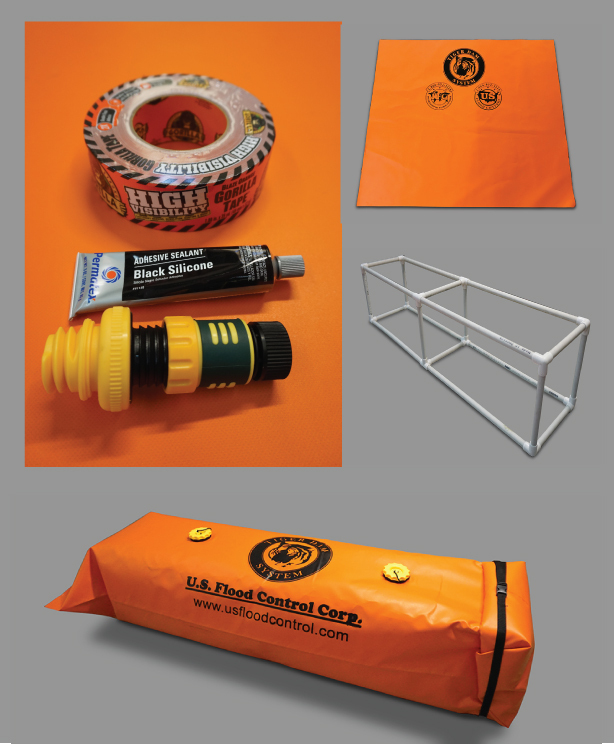 A new product for home owners is now available – Tiger Dam™ Homeowners Unit Kit – from the inventors of the Tiger Dams™, the world’s #1 flood protection products. More emergency managers and governments from around the world use Tiger Dams™ than all other flood control products combined. No need for heavy, smelly, ugly and contaminated sandbags that don’t work anyway. Use the Mini Tiger Box over and over again. Installs easily and disassembles and stores with no hassle. To find out more on how to secure your home, office or other vulnerable buildings against flooding, visit our Home Owners link for more information and purchasing options.